Sarah has extensive experience working to create and support high-quality sporting environments for young people within New Zealand. After graduating from the University of Otago with a degree in Physical Education, Sarah worked in local government supporting community sport and recreation programmes. 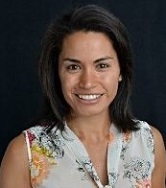 Sarah then joined New Zealand’s government agency for sport, Sport NZ (formerly the Hillary Commission) where she worked for over 10 years in various roles within the Coaching, Relationship Management and Young People’s teams. This wide-ranging experience has given Sarah a sound understanding of the New Zealand sporting system, the strengths and challenges that face various stakeholders from a national level through to grassroots, as well as an extensive network of stakeholder relationships. Sarah has also worked in the private sector at the International Rugby Academy of New Zealand, and tertiary education at Ara Institute of Technology. A strong believer in the value of sport and it’s contribution to the overall well-being and achievement of young people, Sarah is delighted to help shape an exciting new era of tertiary sport in New Zealand. Setting up office in Christchurch, Sarah is a keen mountain biker and trail runner and is enjoying the adventure landscape that the region has to offer. Nick is a skilled marketing and events specialist who is enthusiastic for the opportunity to develop sport in this exciting and unique space. Nick started his career joining the New Zealand Army at just 17. After an enjoyable 4 years, Nick decided to pursue tertiary education and graduated with a Bachelor of Commerce from the University of Otago. While attending University, Nick participated in a range of Inter-college sporting events representing the international community of Otago University and giving him his first taste of University level sport. After his undergraduate studies Nick moved to Wellington where he worked in a property role in the public sector before returning to University to complete postgraduate study. After completion of postgraduate study, Nick took up a role with Canterbury Cricket Association in a marketing and digital capacity which saw him also working on large scale events. This was something he found he had a knack for and decided to pursue as a career. 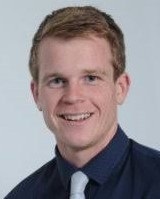 Nick joins us off the back of a successful season with Canterbury Cricket, eager to see UTSNZ grow to it’s potential and brings a wide range of skills to help ensure this happens. Nick is a keen Army Reservist and enjoys staying fit and active in his spare time. On behalf of the key stakeholders, the Board of University and Tertiary Sport NZ (UTSNZ) is responsible for the active stewardship of the organisation to ensure its future well-being for the benefit of members and other current and future stakeholders. The UTSNZ Board Charter outlines these responsibilities: Board Charter. UTSNZ Board Member Position Description. 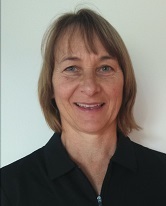 Nicola is a highly experienced management professional with 25 years’ experience in the sport and wellness sector, including 20 years at the University of Waikato. 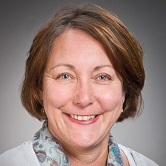 Currently, Nicola is Sport Project Manager at the University of Waikato where she collaborates with many stakeholders and works toward positive student sport experiences. As illustrated by her involvement in projects such as the development of the Hillary Scholarship Programme, sport facility projects and wellness activations, Nicola is motivated to enhance the environment so as to enable people to be more active. With a Bachelor of Physical Education from the University of Otago and a Diploma of Strategic Management from the University of Waikato, Nicola's successful leadership has been achieved through her commitment to focused strategic and sustainable outcomes. 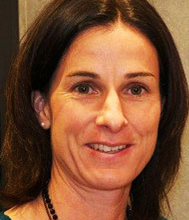 Nicola was the inaugural chairperson for the new University and Tertiary Sport entity in 2016. Residing in Tauranga, Nicola enjoys the outdoor lifestyle and supporting her two children in their various endeavours. Chris is a Chartered Accountant who has worked in audit, general practice, the public sector and in commercial environments both in the UK and in New Zealand. 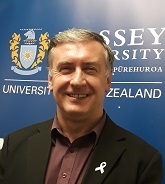 He is currently a Business and Finance Manager at Massey University based in the Manawatu but covering campuses in Wellington and Albany as well. Chris is a lover of all things sporting, but in particular has a passion for football (soccer) and has most recently played in social teams for Inland Revenue and the Ministry of Social Development. A father to three sons who have played football, rugby and basketball competitively, Chris has a firm belief that commitment, competitiveness, team spirit and fair play are all qualities that young people can gain through sport. Chris is a firm believer that involvement in sport improves the well-being of young people, their families and the communities that they live in, including the university community. 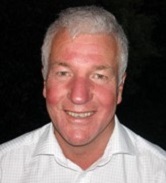 Garry is the Executive Director of the New Zealand Secondary Schools Sports Council (NZSSSC) and has considerable strategic experience in enabling young New Zealanders to achieve their potential through sport. Under Garry’s stewardship NZSSSC have increased their number of sanctioned sports events by 60% over the past 10 years, and developed a number of professional learning opportunities for school sport personnel including the NZ Teachers’ Games. Garry’s industry experience and insight has been utilised by most national sports organisations in planning approaches to youth and school sport. He has assisted Sport New Zealand through project leadership of the ‘Sport in Education’ project and membership of the ‘Thought Leaders Group’ responsible for developing the SportNZ Talent Plan. Currently a director on the AFL New Zealand Board and a member of the NZ Community Trust Regional Advisory Committee, Garry has also previously served on the NZ Olympic Committee Education Commission and worked for the Hurricanes franchise. Garry lives on the coast in Taranaki and is a keen surfer and skier. Sarah is a retired New Zealand Olympic track athlete, whose career focused on the high jump and the heptathlon. She competed in the 2012 London Olympic Games and two Commonwealth Games and is a current New Zealand Olympic Ambassador. Sarah also competed in three World University Games whilst completing degrees in communication and physiotherapy. This unique background in communications, high-performance sport and health, has led Sarah to a career as a wellness champion. In between being a mum-of-two and physiotherapist, Sarah is also a presenter, guest speaker, columnist for Healthy Food Guide, and mentor. Believing that sport is more than physical exercise, that it is a pathway, Sarah thinks that it is really important for all people to be involved in sport and particularly young people. She looks forward to seeing UTSNZ grow to achieve its strategic goals in the future for the benefit of young people and New Zealand. Sarah is an aspiring director and currently serves on the NZ Olympic Committee Athlete's Commission and is a selector for Athletics NZ. Rainsforth is Director Student and Campus Living at Victoria, University of Wellington and has worked there for 15 years. Her portfolio includes Sport and Recreation, Student Accommodation, and Community Services, among others. Before 2017 Rainsforth had a number of roles in the university including responsibility for health and safety, emergency management and business continuity. Prior to this, Rainsforth worked for a decade in a large environmental and planning design consultancy. She has executive experience in strategic and service delivery, stakeholder engagement, emergency management, people and resource management, business continuity and risk management. Career highlights include developing and leading innovative solutions to managing risks across all service delivery areas, including implementing health and safety changes and policies, the development of the Boyd-Wilson field and gymnasium complex upgrades, the Hub redevelopment (including the Student Union redevelopment), and a student accommodation strategy and service delivery. Rainsforth and her husband have recently moved to a small lifestyle property in Greytown and are keen amateur landscapers. They reap the benefits of living in a part of New Zealand which produces wonderful food and wine. 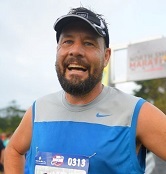 Bruce has worked within tertiary sport for over 15 years and is the Manager of Sport and Athlete Support at AUT University. Highlights of his time in that role have included hosting and winning New Zealand University Games, driving the creation of what is now University and Tertiary Sport NZ, and enabling AUT to become an inaugural member of the Athlete Tertiary Friendly Network. He still gets a thrill out of helping and seeing high-performance athletes go on to represent New Zealand and graduate from AUT. Bruce has significant international administration experience. He was part of the support crew that travelled to the 2017 World University Games in Taipei, in the role of Athlete Support Manager. He was Chef de Mission for the 2016 FISU World University Futsal Championships in Brazil, and has tour-managed several AUT teams to compete internationally. As a Dad for five children, Bruce enjoys coaching, managing and watching them play sport in his spare time. Millie is a fourth-year University of Canterbury Law and Geography student. Her involvement in sport volunteering started at high school as a Duke of Edinburgh award participant and a school sports prefect. 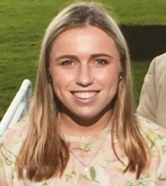 At university, Millie gained a UC Emerging Leaders’ Scholarship and was a sports rep for her hall of residence. Recent projects have included helping the UC Sport team to re-establish sporting pride within the university, as well as developing the student-athlete community. Millie is also involved with the strong clubs community at UC, with her executive position on one of the biggest social clubs on campus. Millie is a Student Athlete Commission representative for UTSNZ and attended the 2017 FISU Volunteer Leader’s Academy in Russia. 2017 also saw her selection as a Prime Minister’s Scholar to Beijing, China for a period of six weeks. This experience grew Millie’s love for international relations and travel, spurring her to learn mandarin at university. As a student-athlete herself, Millie has represented New Zealand in cross country and been in Athletics New Zealand performance squads for middle-distance running. 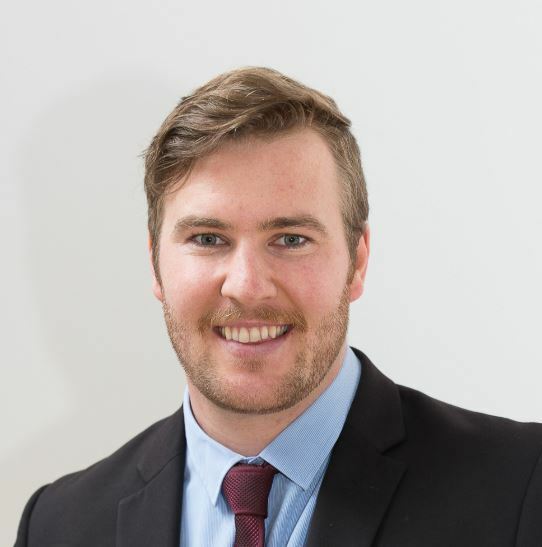 Trent is a recent graduate of the University of Canterbury with a Bachelor of Engineering with Honours in Civil Engineering and a Master of Engineering in Management. He now works as a structural engineer at GHD, an engineering consultancy firm. Achieving success from a young age in his chosen sport of hockey, Trent has over 50 caps for the Canterbury Cavalier hockey team and was a New Zealand age group player. During his time at university, he was captain of the UC hockey team and head coach of the UC women’s team. Trent won a ‘University blues’ award for his outstanding contribution to university hockey in 2016. Trent has been a student representative on the UTSNZ Board since 2016.